Each NextGenUrban neighborhood is underpinned by deeply integrated modular infrastructure combining renewable energy, organic waste-to-value systems, a closed-loop water cycle, on-site water purification, micro grids, advanced organic food production, and solid-waste-to-value technology. All required utilities & services are sustainably produced on-site and then provided as a single service, including; water, energy, food, fuel, transportation, internet, recycling, sewage treatment, grey water, and biogas (for cooking). The result is a stand-alone neighborhood that needs no support or connections to outside utilities or services while providing residents with the hassle-free zero-waste carbon neutral lifestyle they seek. Our neighborhoods feature a closed loop self contained water systems requiring no external connections, ensuring a permanent safe and secure source of purified water. Our communities have a dedicated solar farm that produces more electricity than needed, ensuring 100% renewable clean reliable and sustainable power service. A professionally run organic farm is an integral part of each neighborhood, ensuring residents a local fresh abundant supply of farm-to-fork produce. All sewage waste and organic solids are captured in a biodigester and converted into bio gas then distributed back to the community homes forming a net positive loop. All the data and communication needs within the community are achieved through our private and redundant ISP connections through antenna and satellite feeds. We capture all grey water flows in a dedicated plumbing system to keep it separate from black water, then we purify it and reuse it for irrigating various non food crops used to make biofuel. We divert all toilet water into a biodigester using a dedicated plumbing system separate from all other water flows. Values produced include biogas and high grade fertilizer. The challenge of environmentally safe disposal is permanently solved via a net positive loop. All food waste, farm waste, restaurant and household garbage disposal waste is collected multiple times per day then prepared for processing in an advanced multi-stage digester to produce additional grid quality cooking fuel and fertilizer for the neighborhood. All trash is gathered at the commercial and household levels then separated at our own facility prior to being; a) upcycled as a key ingredient in a cementitious construction material, b) used in our waste to energy conversion process, c) sold to a 3rd party. Consumers simply want to BE sustainable without having to figure it all out for themselves. People desire instant hassle free access to a sustainable life. That's why all the systems and all the gear required by our neighborhoods are owned and operated by NextGenUrban. We provide residents all the benefits under a single-point-of-contact service agreement that comes standard with every home purchase. Residents receive all the benefits without any of the headaches associated with things like solar panels, battery packs, water purifiers, grey water systems, smart meters, and recycling programs. 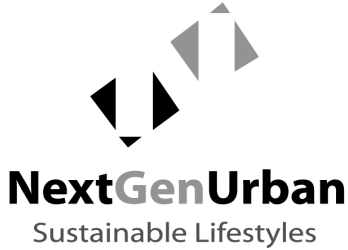 And because there is NO lasting sustainable solution without both sustainable resources AND sustainable family economics, NextGenUrban bakes-in the mechanism for each household to build their family wealth over time through a shared ownership in their renewable resources and an equity stake in the neighborhood infrastructure.